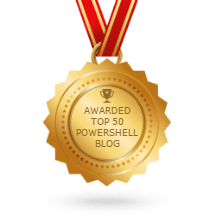 Home > Powershell > Powershell : How to Find Server ILO IP addresses on your Network ? There are two approaches to get the iLo IP’s on your network. 1. Powershell module for HP iLO : Download the powershell module for iLO from the HP site and run the cmdlet Find-Ilo to get the list of Ilo IP addresses in a range of IP addresses. This approach can be bit confusing and personally I don’t find it useful as we have to specify the range of IP address in this cmdlet, which can create a large network traffic. 2. Test-Connection : My approach is very easy and quite useful and will save you some network traffic and time. So the logic behind is – In every organization you can access a machine’s iLO by appending something like “ilo” or “-ilo” etc at the end of server name in the address bar of web browser. These are nothing but DNS entry for the iLO. When you use Test-Connection cmdlet against ilo name labdc01-ilo it will give you ilo IP address like in the image below, because DNS has iLO names mapped against the iLO IP addresses. First, we’ve to get all ServerNames in a text file like and save it to a location lets suppose C:\servers.txt. Then run the below script after modifying the ‘iLO keyword‘ (highlighted below) used in your organization’s and you will get the Servername s and IP addresses :), easy ain’t it? Hope you find above Tip useful and please share if you know any other approach. What happens what ilo is not setup? And its a iloserialnumber-ilo.ilo.com?? Not going to work if servername-ilo is not in DNS. What i do not understood is in reality how you are not really much more smartly-liked than you might be right now. Its like men and women don’t seem to be fascinated except it is one thing to do with Woman gaga!